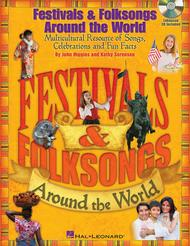 Multicultural Resource of Songs, Celebrations and Fun Facts. Arranged by John Higgins. Music Express Books. Elementary, Classroom Resources, Multicultural, Collection. Softcover with CD. 64 pages. Published by Hal Leonard (HL.9971491). ISBN 1617741620. 8.5x11 inches. John Higgins/Kathy Sorensen. Horch, Was Kommt Von Draussen Rein?